Nokia has started posting video manuals and startup guides on its Lumia 920 Windows Phone 8 flagship handset to aid you with the transition to the new phone. The topics so far are Getting Started, Save on Data Roaming Costs, Set up Office 365 and Set up your Corporate Email. All things that you'd probably want to do from the get go with your brand spanking new handset, so have a peep at the video how-tos in the slideshow below. Nokia Lumia...Amazing For Everyday... cant wait to get my hands on this baby! Trading in your RIM for the L920? no.. i love them all!! getting this and a BlackBerry 10 and N9 next year! Me too! I love 'em all! Thinking of spreading my gadgets (phones, tablets) across different OSs. Lumia 920 is definitely one of 'em. watch out Apple iphone fans and Android fans. Windows smart phones are now not punk smart phones they now have a new powerful OS that will get all the features your smart phones now have and already have some unique features Iphones and the Android smart phones will never have. 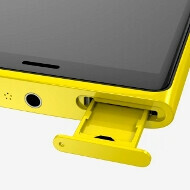 windows smart phones now have all the high tech goodies a smart phone should have. I predict that the Windows 7,8 smart phones will be updated and become Microsoft's low entry level smart phones..Windows smart phones will be looked upon with respect and sell better than before. to in crease sale Microsoft may even sell their own brand Windows smart phones in their stores in sept 2013. windows smart are on the rise baby and it's about time!